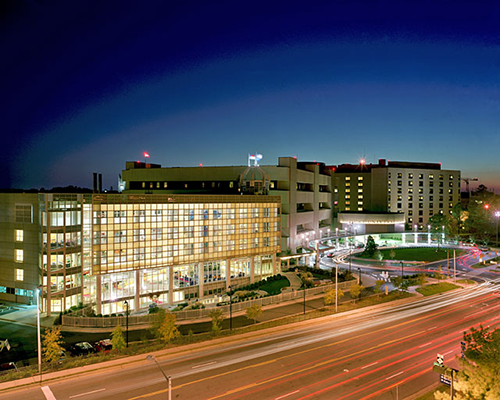 Duke Medical Center at night, Durham, NC. Residency and fellowship applicants commonly underestimate the importance of the written portion of their application, especially in comparison to their personal statement. An excellent personal statement may cause an admissions officer to review the rest of your application more closely, and poorly worded essays in the ensuing application can easily doom you. Given the number of excellent applicants applying to residency and fellowship positions in the United States, admission committee members are looking for reasons to reject applicants. Do not let a poor application essay be that reason. At editingMD we provide detailed residency and fellowship application review, correcting errors in spelling, grammar, and word choice. We will also make changes to improve the flow of individual essays, including rewriting sentences, restructuring paragraphs, eliminating jargon, and improving your overall writing style. An MD with residency/fellowship application expertise personally reviews every document and provides their expert opinion on ways to improve the document with the aim of helping you achieve your goals in the match. Each application receives a complementary second review by our editing staff, giving you the opportunity to incorporate changes suggested by your MD editor prior to the final MD review. As with all our application editing services, we do not offer tiered editing. While it is common to offer various degrees of editing assistance, we feel strongly that every document we touch deserves our best work, and as such we only offer you our best. Additional editing revisions are available beyond the standard 2 rounds of editing currently offered. This service is only available for documents that have previously been edited by the physician editors at editingMD.com. *Up to 4 pages. A personal invoice will be generated for applications longer than 4 pages. To enroll, click the link at the bottom of this page and email your application and CV to service@editingMD.com. Your application must conform to current application word limits. At this time we can only accommodate Word documents. Documents in other formats will be returned. Payment must be received before our service will commence.